CycleBar opens new location in Philly suburbs. 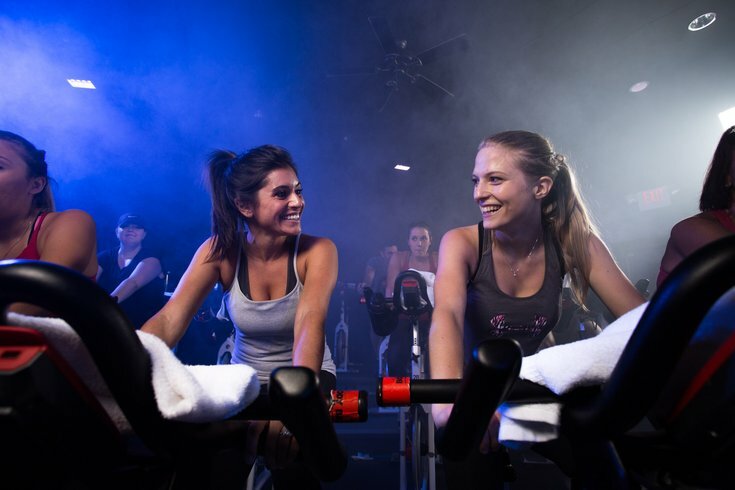 Indoor cycling studio CycleBar opened a new location in the Philly suburbs. Now, spin enthusiasts can head to the Plymouth Meeting Mall for a CycleBar class. There are CycleBar locations in Exton and North Wales, too, but none in the city of Philadelphia. Those in the 'burbs can brag about it. Through May 25, the Plymouth Meeting location will offer free rides as part of its grand opening. Individuals can ride as much as they want for free during this time, so long as they register. What makes CycleBar unique is that the studios "offer a high-energy workout in a concert-like atmosphere." So, pretty much, the playlists for each workout are incredible. In the spin class space, called The CycleTheatre, there are LED lights, a DJ booth and big-screen graphics. After class, riders can enjoy fruit-enhanced water and aromatherapy. CycleBar offers a pay-per-class model, with no membership necessary. Concierge service and amenities include free towels, showers, lockers and shoes. Also new to the Plymouth Meeting Mall is LEGOLAND Discovery Center, which includes more than 50 models of iconic Philly landmarks.